One great skill is the ability to adapt to and make use of the best opportunities that come your way, and my willingness to accept unusual opportunities has been tested recently. Since I don’t really like being seen or performing in public, the last thing I wanted to do is stream online. You might know the saying “life begins at the end of your comfort zone” and indeed, life has a funny way of giving you opportunities that require you to face your fears in order to move forward. That is the lesson we have for you here in this article. What Do You Do when You Find Unusual Opportunities? One major life lesson that I’ve written about in a few of my articles is that in order to increase your chances of becoming successful you must learn to DO WHAT YOU LOVE. Find your talents and develop them, use them to help people, and learn to make money from it. When you find work that you love doing, you’ll be less stressed while working and you’ll do it so much more often that you’ll eventually become one of the best at it. I’ve mentioned before that one of my talents is creating digital art. While my illustrations are not professional quality, in my opinion it’s somewhat acceptable (I’m still training my skills though). There’s a lot of ways to make money from art, like finding clients and getting hired to do commissions, drawing comics and publishing it, creating an art blog, teaching in art workshops and classes, and more. I never really thought of attempting to make money from it as I’ve always thought of it as just a hobby I do for fun. Well imagine my surprise when my friend invited me to try streaming my art “professionally” too. Like I said before, I don’t like showing my face online and frankly, I was scared. I’ve thought about it a lot and while it seemed scary, my instincts never told me to stay away from it. This is one leadership lesson you have to remember: TRUST YOUR GUT. My instincts told me this was an opportunity outside my comfort zone (which could someday lead to me doing live seminars). That’s why I took the risk and started streaming regularly on Pocketlive (here’s a link to my channel). It’s not just me who’ll receive opportunities like this. 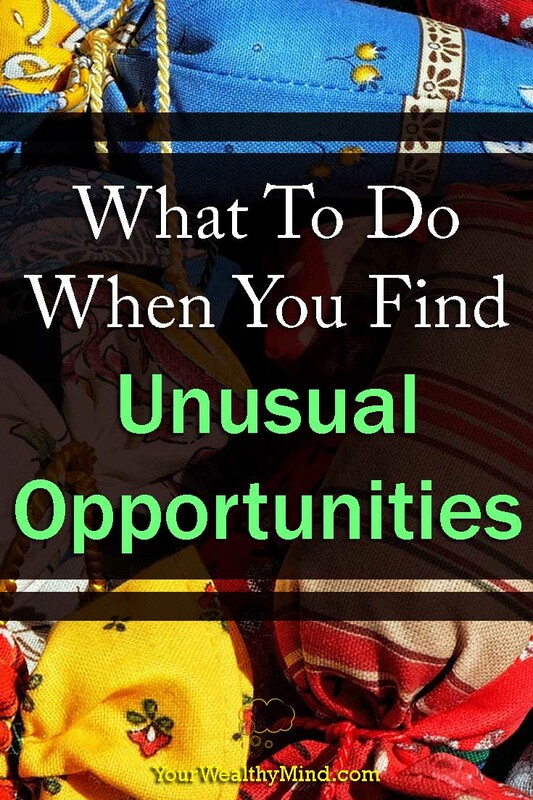 You will likely come across unusual opportunities yourself! Do You Think About Your Opportunities? You can accept the opportunity. This is especially useful if you have the skills and desire to make use of it. You can even accept it if you DON’T have the skills yet. All you need to do is learn and practice until you DO get good. You can delay the opportunity. You don’t have to make the decision right away as a lot of things need some thought and careful planning. Just remember to listen to your gut/instincts and make the decision to either accept, reject, or do something else about it as soon as you can. You can REJECT the opportunity. If you’re qualified for and applying for a division manager position and a supervisor position is offered to you first, will you take that lower one? Again, you don’t have to take every opportunity you get as some of them can prevent you from achieving something better. Aside from that, some opportunities are actually scams or traps in disguise, so learn to stay away from those. If you can’t find any, then just CREATE YOUR OWN OPPORTUNITIES. Why look for a job as a baker when you can start your own bakery? Why look for a journalism job when you can write on your own blog? Why look for a management position when you can start your own company? The possibilities are endless and all you need to do is find a way to make them happen. You’ll find many opportunities throughout your life and while you might not want to use all of them, you have to remember that the world is always abundant and there will always be more and better ones out there. Do what you believe is right, live life with no regrets, and keep moving forward. That’s it for this article. By the way, if you want to watch me create digital art and if you want to chat with me directly whenever I’m streaming, just click on the image link below! It’ll take you to my PocketLive.tv channel. I hope to see you there! Speaking of unusual opportunities, I heard that PocketLive might be looking for active streamers (4/19/2017). Do you have some unique talent or hobby that you want to show the world? Contact me here and just ask me about it! I’ll tell you what kind of streamers they need and how you can get in touch with the PocketLive team!